Holo Glitter Swatches | We Heart Nails Holo Ultrafine Glitter Swatches & Tutorial – Laura from We Heart Nails UK sent me this lovely set of their 24 new ultra fine holographic glitters to swatch so I just had to share the results with you. The glitters are all cosmetic grade, 004 hex, PET plastic, solvent resistant and MSDS are available if you contact them (which is a must for nail professionals!). The glitters are a mix between linear and scattered holo, and they cover beautifully. 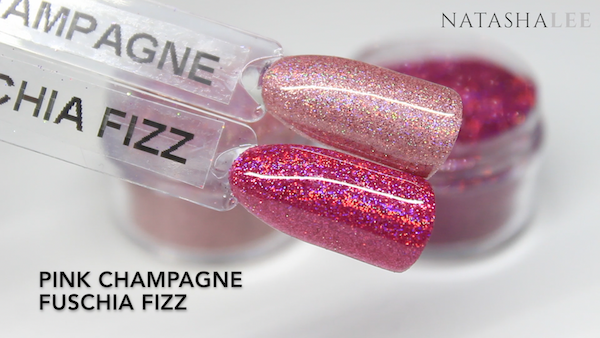 Pinkies Polished – An absolutely stunning puce colour with a really vivid holo sparkle. Fluttershy – A stunning soft lavender with a fantastic rainbow holo. This reminds me of parma violets sweets. High Voltage – A vivid and super sparkly red with orange undertones. This isn’t a rainbow holo but it has amazing holo sparkle. Dorothy – I love this one and ironically I named it after We Heart Nails UK ran a competition on Facebook to name this range of new glitters. This is a true deep red, like a deep ruby or blood red. Think Dorothy’s shoes in Oz and you are on the right track! 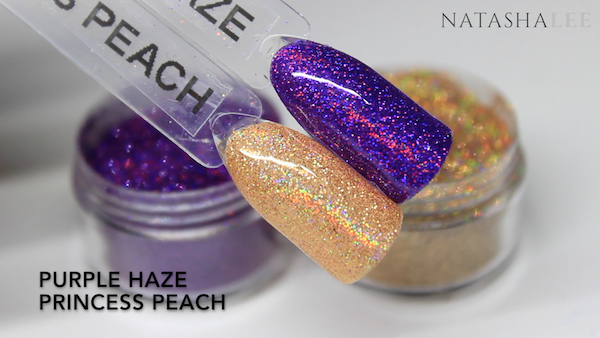 Purple Haze – A super rich jewelled purple with a partial rainbow holo, this is so decadent! Princess Peach – A lovely orange toned peach with a perfect linear rainbow holo. 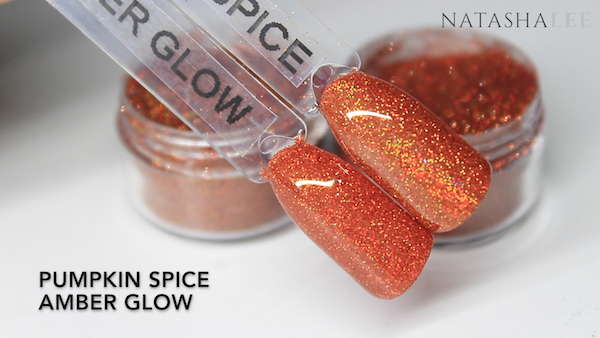 Amber Glow – A burnt orange with a lovely partial holo sparkle. 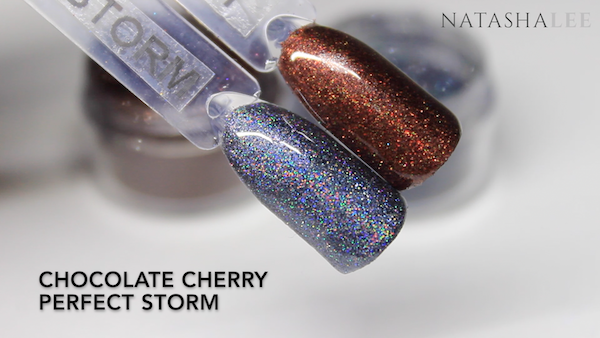 Perfect Storm – An absolutely breathtaking rainbow holo gunmetal grey! 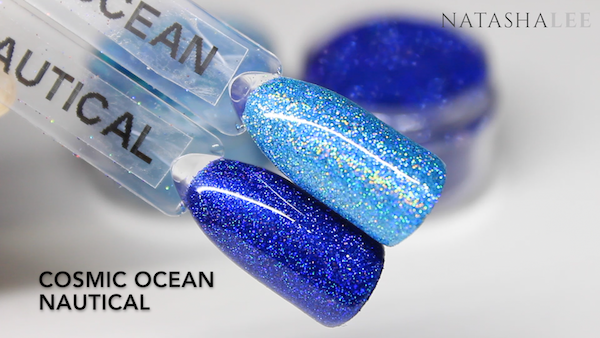 Cosmic Ocean – A sensational blue as crisp as waves on the sea with a fantastic linear rainbow holo. 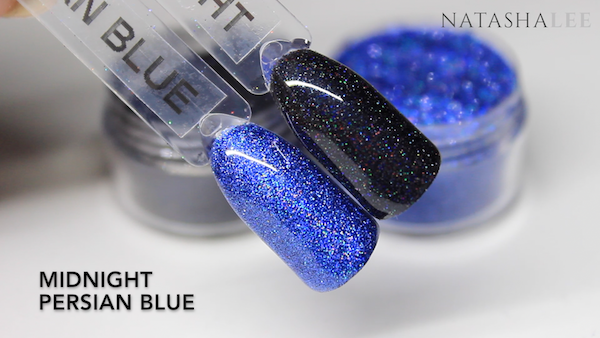 Nautical – A deep, sophisticated shimmered scatter holo blue. 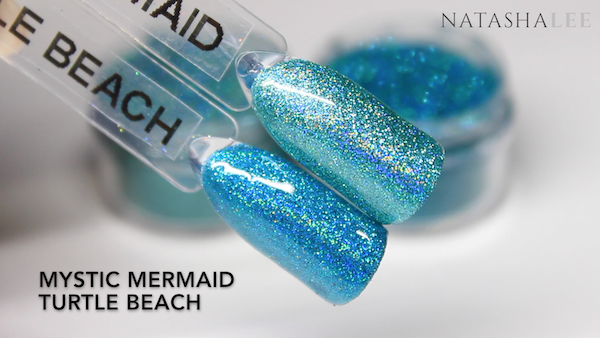 Turtle Beach – An amazing teal with a partial rainbow holo with fantastic sparkle. Midnight – A beautiful ultra fine black scattered holo. Persian – A sensational smokey blue with generous and gorgeous scattered holo. Woodlands – A vibrant and super sparkly spring green with a rainbow holo. Gálanta – A luscious grass green with a beautiful scattered rainbow holo. Ice Ice Baby – Super fine and super smooth with a close packed linear rainbow holo. 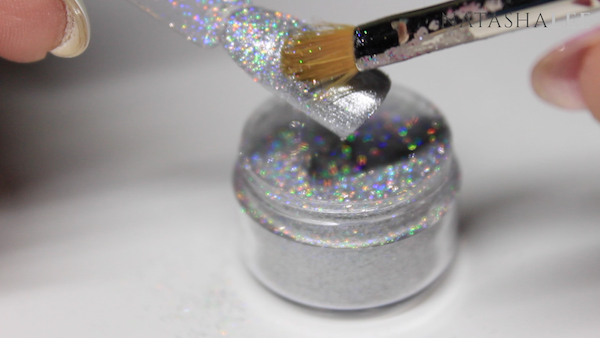 If you’d like to know how to apply these glitters over gel polish, then take a look at my Holo Glitter Swatch video which includes application, here. I hope that you enjoyed these holo nail glitter swatches, there’s something mesmerising about looking at holographic glitter!! 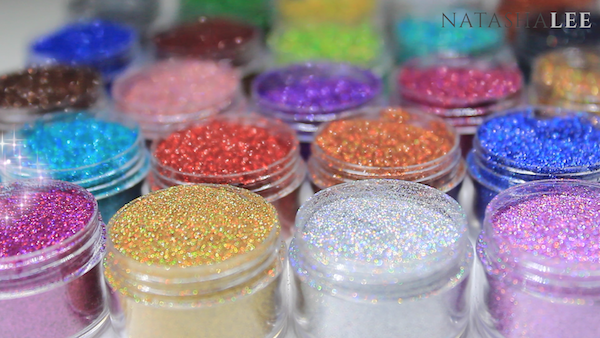 If you want to purchase any of the glitters above then they are available at WE HEART NAILS UK.